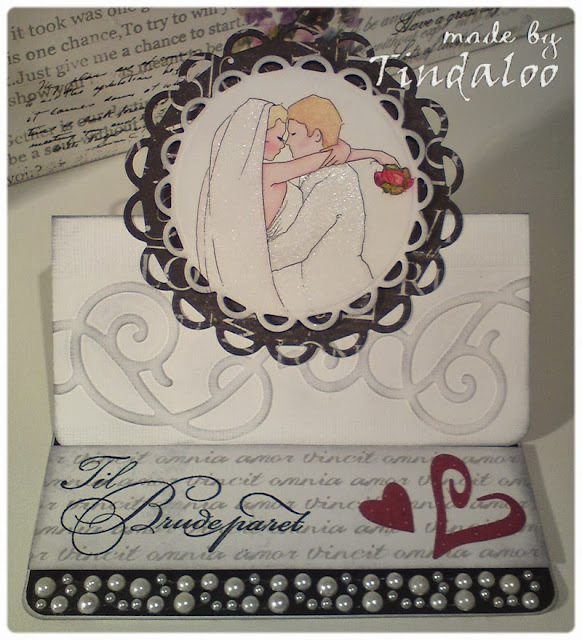 Wedding card ~ I do! Det nydelige hovedmotivet er fra A day for Daisies ♥ Tammy lager de fineste motivene for bryllupskort synes jeg ~ bare ta en kikk i ADFD kategorien Wedding & Music :) Romantiske, vakre og perfekte motiv til bryllup! 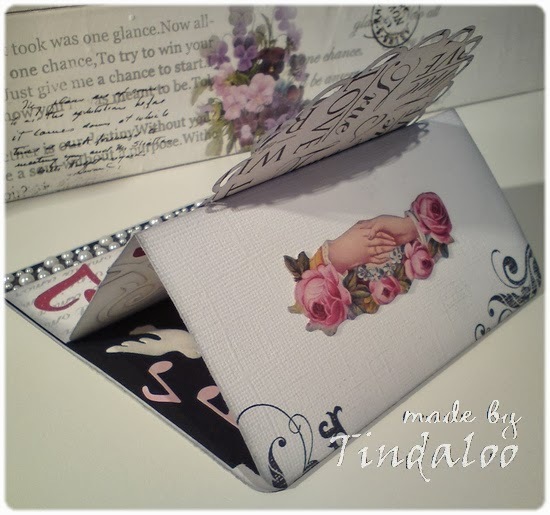 ● The Sisterhood of Crafters ~ ANYTHING GOES Time! ● Digistamps 4 Joy #78. ~ Embossing (I used dry embossing). ● Creatalicious #56. ~ Wedding Day! Stamps/Images: ADFD June 2012 Club Kit 'I do' digistamp. Magnolia 'Til Brudeparet' (=to the bridal couple). Lazar StudioWERX Inc - Funky Holidays (swirl). Panduro Hobby Clear Stamps Stempeltekster A6 'Amor'. Papers: Bazzill cardstock & misc scrap papers. Bo Bunny 'Kiss the Bride'. Designerark Panduro 'Eternal Love' (amor vincit omnia). Paper doily from an unknown source. Panduro Hobby 'Winter Memories' 12x12 Tilda designer block. Making Memories 'Wedding' spiral journaling book. Embellishments/Tools: Adhesive pearls from Notabene. Spellbinder Nestabilities 'Lacey Circles S4293'. 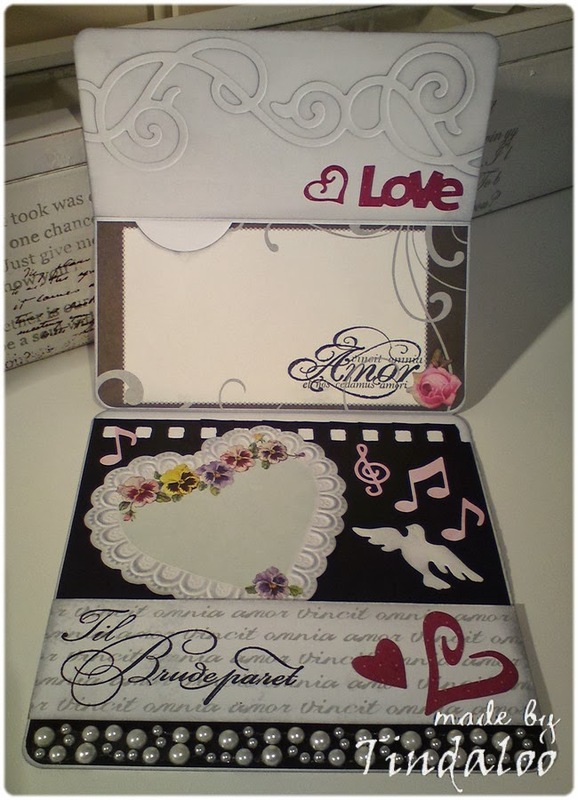 QuicKutz Border Embossing Folder Flourish, RS-0787 Love, RS-0085 Dove, RS-0456 Notes, RS-0457 Treble Clef, RS-0003 Heart swirl & RS-0400 Heart mini. 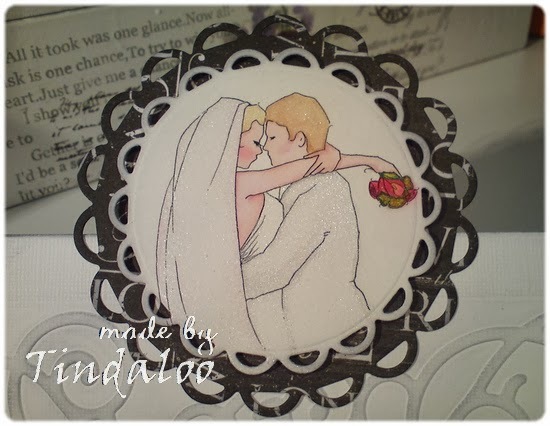 I used Twinkling H2o's and Tim Holtz Distress Ink pads to watercolor and distress image and papers.